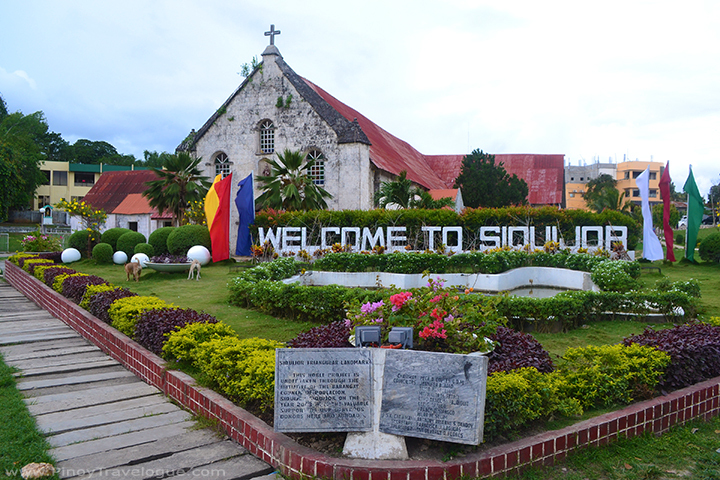 Feared for its voodoo-ish reputation in the past, Siquijor is overcoming the stigma, slowly becoming a popular side trip from a Dumaguete, Cebu or Bohol getaway. I got a chance to roam around the unassuming island and experience its real charm — the unspoiled wonders that stories of sorcery and supernatural have covered for a long time. If you're visiting Dumaguete and have less than 24 hours or an overnight to spend in Siquijor, this travel guide might help. Flying from Manila to Dumaguete City takes about an hour. 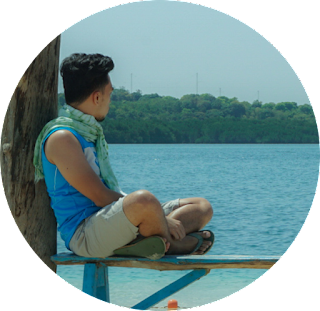 From Sibulan Airport, hop on a tricycle going to the city port then take a ferry bound for Siquijor. Travel time is 2 hours (slow ferry) or 1 hour (fast craft). Fare is around PHP 100-200. Ferry's departure time and fare varies so its better to call the shipping line of choice ahead of your trip. 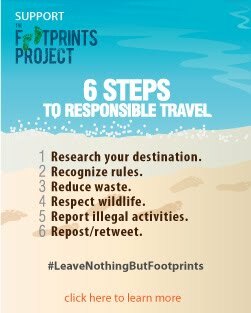 This post might help. Tip: Brace yourself for that fast craft. Chances are, ferry staff will close the windows due to the disturbed waves that crashes against the hull until the ship decelerates. With thin air and speed of boat combined, you might set foot with your world and tummy turned upside down and burst! Trust me, I did. 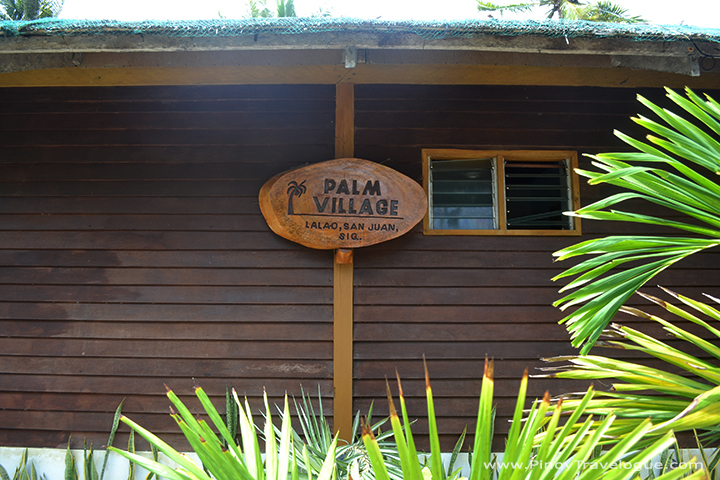 Palm Village Guesthouse hosted our overnight stay in Siquijor. They fetched us from Siquijor port and traveled around 30 minutes aboard a tricycle to reach their beachfront accommodation in San Juan. The humble home stay has three cozy rooms, each equipped with comfort room, kitchen and WiFi. If you're down for a cheap and just a decent stay, I recommend Palm Village. You came for the island not for the bed, anyway. Plus, they have a great beachfront. When we arrived, my buddy suddenly wanted to skip the tour and just stay there all day. Room Rates: Starts at PHP 1000. Check discounted deals here. Multicabs, locally called as easyride, and tricycles line up near Siquijor port while local drivers wait for tourists' arrival. For couples or solo travelers, motorcycling is a great option to wander around. 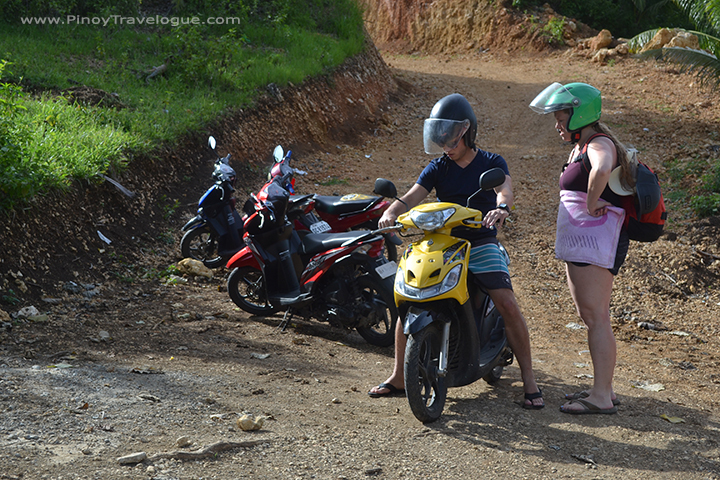 Exploring Siquijor for a day costs around PHP 400-500 (motorcycle) or PHP 1000-1500 (tricycle and easyride). As always, price varies depending on your haggling skills, but please, locals depend on you for a living so HAGGLE WITH A HEART! Our host allowed us to use their mini truck for an additional cost that doesn't hurt the bank. 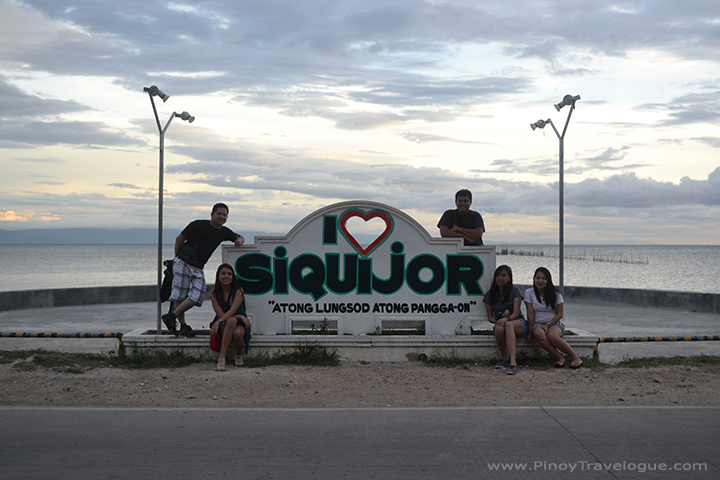 Conquering the island's highways and byways on a truck rear gave us that one-of-a-kind Siquijor road trip! 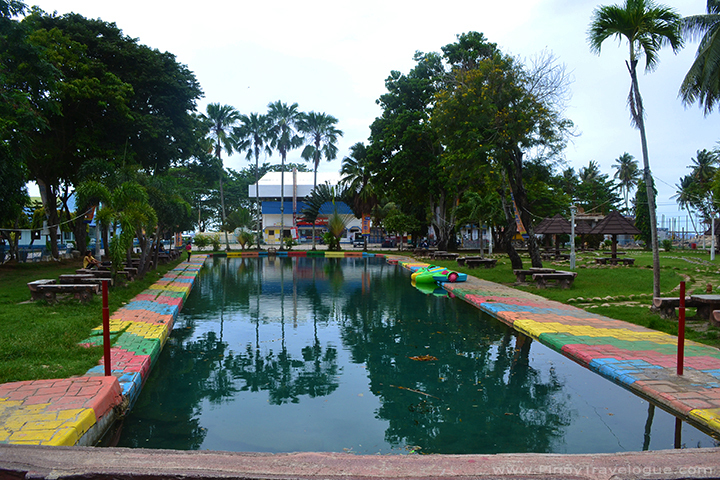 Located along the road just across commercial establishments and San Juan's municipal hall, Capilay Spring Park is easy to find not only because of its location but for the colorful edges of its lengthy swimming pool as well. Locals concreted a natural flowing spring, surrounded it with manicured garden and amenities to serve as the town's public plaza. Capilay's deep green pool is clear with its bottom visible but it didn't seem inviting to jump in. Nevertheless, it still worth a snap. Activities to do at the park includes picnic, swimming, engaging in water sports and taking water rides. 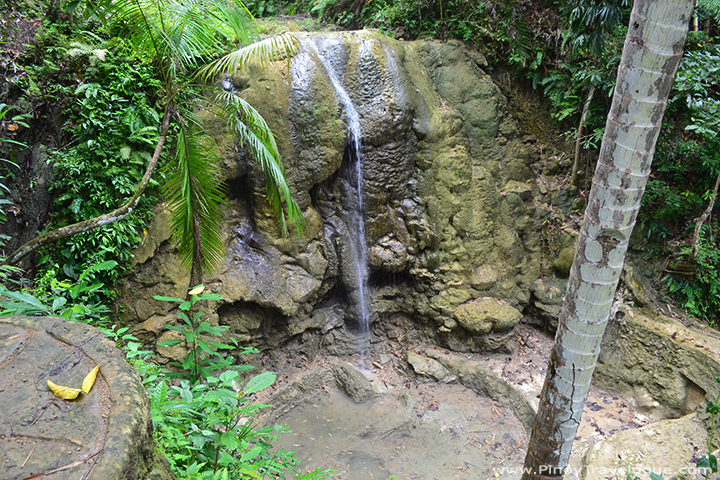 A 1.5-kilometer nature trail in San Juan features a series of twelve water cascades. Nestled within a bushy forest, the waterfalls named after the signs of zodiac differ in height, depth and shape of the naturally formed walls where the waters flow through. There's even a teeny-tiny stream that made it to the Magic 12 and you'll wonder how it did. Lugnason Falls (or Aquarius Falls) is the grandest and dive-able among these cascades though we did not witness its grandeur as it was dried up and barely trickle during our visit. Trekking that ends on a rural neighborhood takes about 20-30 minutes. Zodiac Falls' eco-trail is still under development, its undergoing progress depends on volunteers and donations. Entrance fee: FREE; quoting from their slogan, "Nature should always be free to enjoy together". Guide fee: It's up to you. It would take a generous heart to tip those schooling kids that welcomes and guides tourists from the jump-off. 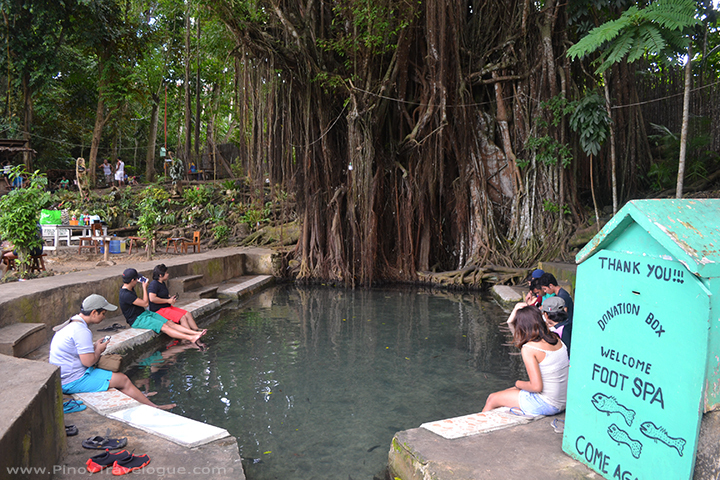 Balete trees star in local folklores around the country as a dwelling place of supernatural beings. So it's no surprise that the mystic island of Siquijor has its own version of the myth. Under the shade of Lazi's old and "enchanted" tree is a wide, concreted basin where large and small tilapia fishes swim and feed on every foot dipped into the cold waters. It's not the balete itself that scares on a broad daylight but the seemingly sharp teeth of aggressive fishes that tickle. According to the National Historical Commission marker plastered on its wall, Augustinian Recollect priests established Lazi Church under the patronage of San Isidro Labrador in 1857 (hence also known as San Isidro Labrador Church). Located along a quiet, acacia-laden street in Lazi, its rustic façade and interiors adds a charm to the church's location that presents a rural feel. UNESCO World Heritage Site nominee under the group "Baroque Churches of the Philippines (extension)"
Across the church is the convent distinguished for being the oldest and once considered as the largest convent in Asia. Built thirty years after the church, the rickety building houses a school and a museum, but the artifacts were completely moved somewhere else during our visit to give way for its preemptive restoration. 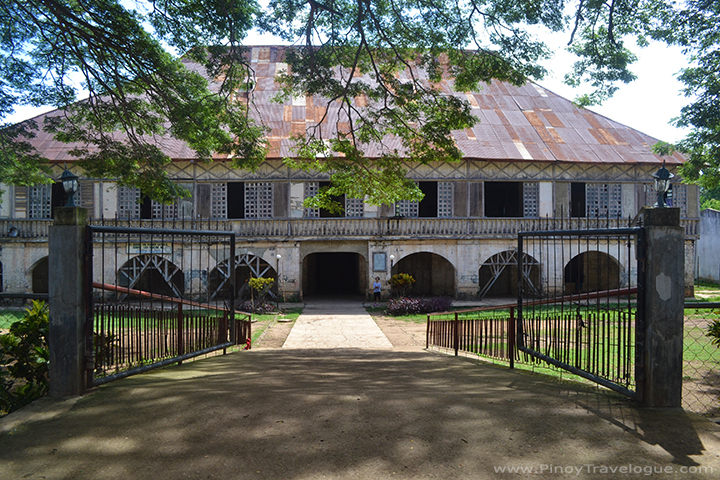 Nevertheless, the silence and mustiness of the empty Lazi Convent spoke of Siquijor's rich heritage. 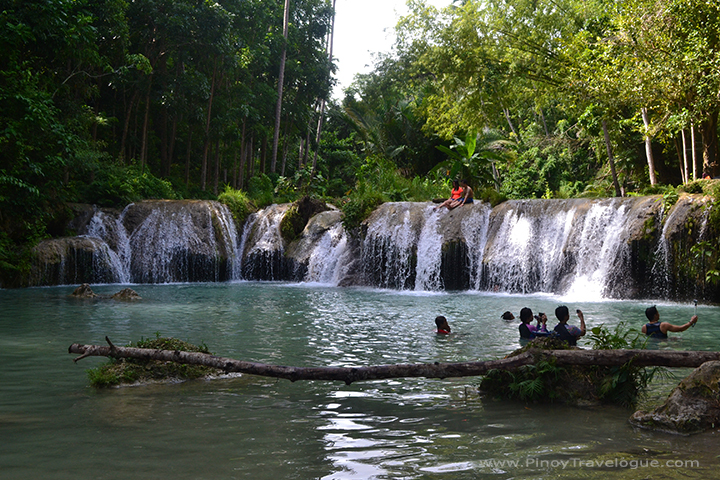 Its three equally stunning levels of water cascades hidden within a verdant jungle is the never-to-miss when in Siquijor. Cambugahay's top-most waterfall offers not just the most picturesque cascade but also an exhilarating activity for everyone to try. Get some adrenaline through the Tarzan swing without worrying of getting your feet hurt upon falling into its deep light green basin. Unlike most waterfalls whose floors were covered with sharp-edged rocks, Cambugahay's is blanketed mostly with fine sand. Reaching the three-tier waterfalls requires a five-minute knee-jerking descent through established stairs; prepare for the more challenging ascent going back. Tourists are not allowed to visit from 5:30 PM to 7:00 AM. Guide fee: NONE; but it would be nice to tip those who would help you feel like Tarzan for a while. 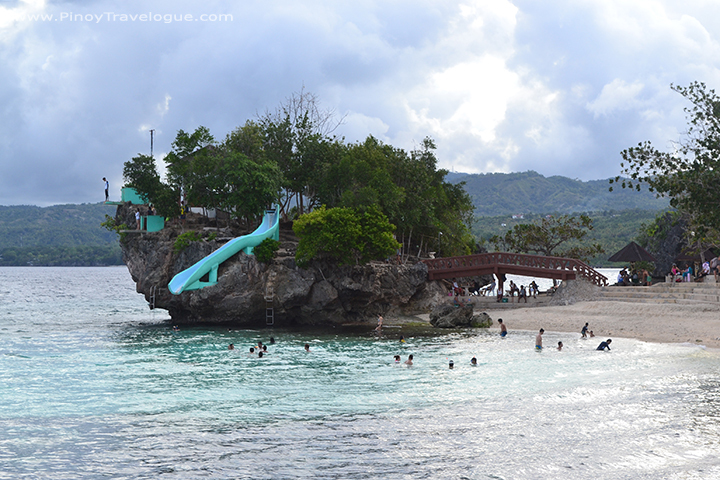 Salagdoong Beach Resort boasts off its creamy shores and the gigantic coral rock perched along its shoreline. In harmony with lush trees on top of the rock formation are spacious gazebo, a man-made slide directly dropping into the open sea and two concrete diving platforms set at 35 feet and 20 feet above the turquoise waters — amenities that's perfect for everyone wanting a good adrenaline rush. If the sea's on low tide however, taking a leap from the lower diving podium or letting yourself slip on the slide is not allowed. The huge coral rock bisects the shore creating a twin beach — the shorter one resembles a mini cove. Other amenities include a cafe, concrete table cottages, a swimming pool, and lodging rooms. Cang-isok House is the oldest surviving house in Siquijor island. 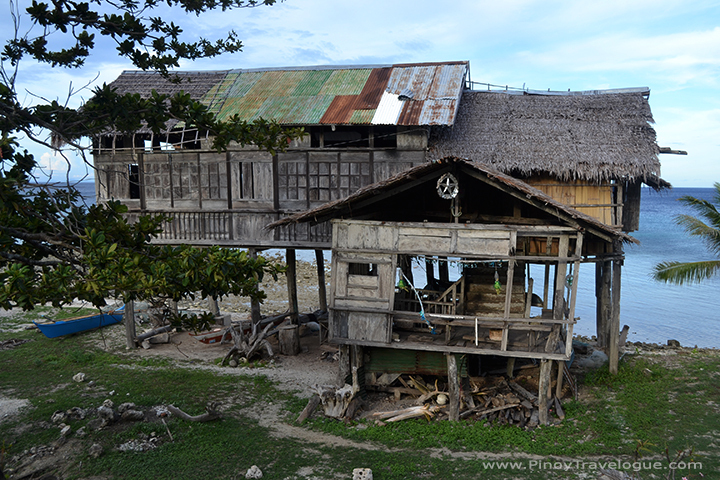 Seemingly ravaged yet standing still, it was said that the house on stilt was built more than a hundred years ago. Interestingly enough, retired PBA player and comedian Bonel Balingit once resided here according to our local guide. Located on a piece of land between the shore and the highway, I just took a few snaps of the house while at the back of our truck. If you have the luxury of time, it's good to check the house and see up close how the wooden structure stood the challenges that time and nature imposed. It isn't just the view of Siquijor's coastline and the cafe's huge dome-shaped eating area that delight the guests but the array of tasty treats they offer as well. Their full-packed menu of fritters, pastas, pizzas, burgers and sandwiches, sizzlers, cakes, healthy salads, refreshments, coffees, wines and liquors makes Larena Triad the ideal destination to end the day in Siquijor. Imagine yourself on top, savoring your late afternoon merienda while the sun lowers itself behind the horizon. Price starts at PHP 100. Address: Within 3 barangays in Larena, Siquijor (Nonoc, Cangbagsa and Cang-alias), hence the name "Triad"
Not to get confused with the church in Lazi, the one dubbed as "Siquijor Church" is the structure located near the port — the one that welcomes everyone in the island. 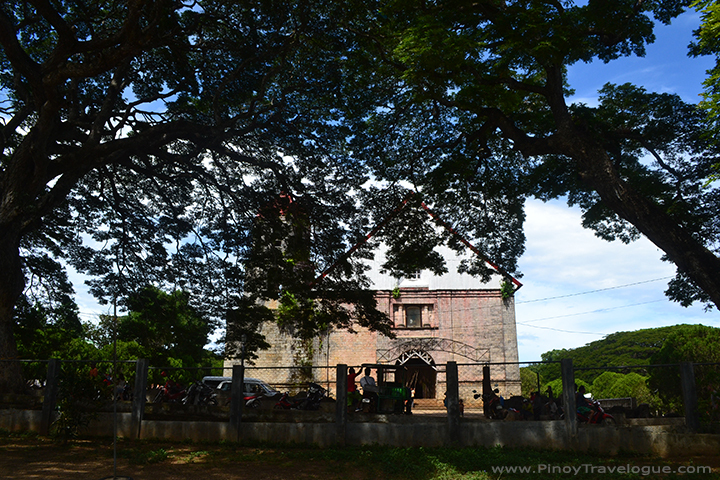 Completed around 1830s, the church dedicated to St. Francis of Assisi might be the oldest church in Siquijor. Siquijor Church's bell tower stands few meters away from the church. Presently surrounded with modern structures, the bell tower showcases how it withstood the test of time. *We visited the church the next morning, before boarding the earliest ferry bound for Dumaguete. Expect to shell out around PHP 900 for fares, accommodation, and site fees if you're in a group of six; food and other personal needs not included. 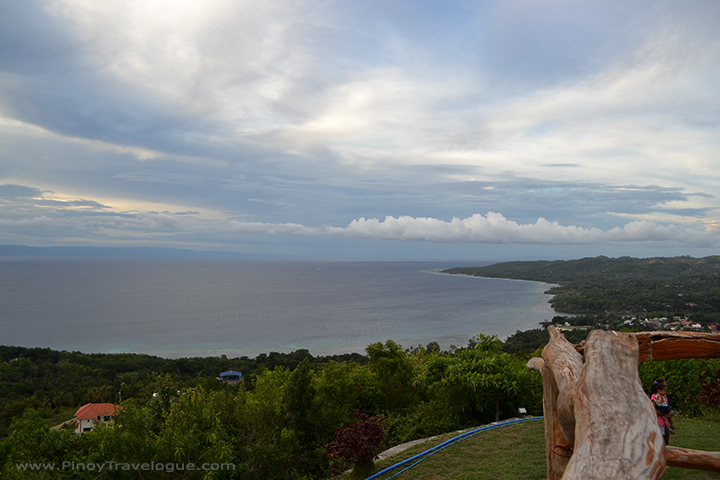 A day's not enough to check all attractions Siquijor has to offer. It's a lesson learned and a point to consider should plans of revisiting the island province sets in. These are some destinations we weren't able to visit that you might want to include on your itinerary: Paliton Beach, Tubod Marine Sanctuary, Cantabon Cave, Kanheron Ranch and Mt. Bandilaan National Park.